WITH its charming mix of Andalucian spirit and international vibes, Nerja is steadily becoming one of the most desirable up-market tourist towns on the coast. Homes with large terraces and sea views – for those who can afford it – are particularly popular. And with prices at an all time low; there is no time like the present to up sticks and move to this ‘magical’ town. Certainly things have been hotting up in Nerja recently, agrees lawyer Nacho Escobar. His company Lex Iuris currently has half a dozen sales going through, some 10% more than last year. 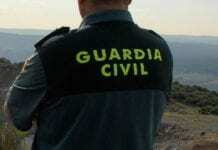 “It is excellent news,” adds the lawyer, who covers the entire Axarquia area. A standard two bedroom home with a terrace and sea view, and not in need of work, currently costs between €200,000 and €250,000. Nerja is free from the concrete high-rises that have helped lower property prices in other coastal resorts, but this does mean buyers must pay more than they would in Torremolinos or Calahonda. “Nerja is steadily and subtly becoming an up-market coastal town,” believes Linda Maria Zima, of freelance estate agency Intersale Nerja. “It holds its prices more than other coastal towns because there isn’t a lot of property and it is a bit special with its low rise buildings, mountains and coves,” adds Zima, who arrived in Nerja with her Portuguese husband 30 years ago. Those buying property in Nerja, Frigiliana and Torrox have been predominantly Scandinavian over recent years, although more recently many British people have been returning to the market. Nerja’s particular appeal is not only in its multitude of coves and beaches backed by cliffs and not a main road, but by the friendliness of its Spanish residents. “Nerja is also beautiful, it has the Andalucian style and is very charming,” adds Bergsten, who has lived in Spain since she was seven and moved to the Axarquia 20 years ago. And Fastighetsbyran, who have ten offices across Spain, have been operating in Nerja since September 2011 and receive most clients through their website and property fairs in Sweden. Nerja is indeed a lovely place. In the winter, however, it’s a ghost town. Fred, you say such wantonly negative things all the time! Trolling as usual. Nerja is a fantastic place, and I imagine even better when it’s quieter in winter. Fred, I think they nicked that quote from Fawlty Towers – the Wardorf Salad episode! On a serious note, I can personally recommend Ignacio (Nacho) Escobar and I have known him for many years. He is a thoroughly decent, trustworthy person and does not gloss over or conceal all the problems associated with Spanish property laws. He will give it to you straight and he really knows his stuff. Nerja, a nice small quiet town, stopped there a few times for a nice Spanish meal when coming back from the caves. I suppose the quietness is one of the attractions for most expats instead of the other coast line habitats. A lot of places just shut in winter, in Nerja, so it will definitely be quieter. I suppose this is also one of the reasons people live inland, the quietness and the beauty of the country side instead of the crowded and noisy life one finds in the coast line towns. “I suppose this is also one of the reasons people live inland..”. Absolutely! Nerja may have less high-rises, but it sure has sprawling acres of ugly, pink stucco, housing developments. What?! Pink stucco housing developments? Where exactly in Nerja are these? @Alan, that’s why perhaps they move inland, away from it all. Winter or summer, Nerja sure beats the Costa del Concrete!